Many years ago I read a blog that I absolutely adored. It was always filled with such wisdom and love and she had such a heart for her home, her family and the Lord. It was a joy to read. That was the first time I had seen a window star. I thought they were so beautiful and they looked lovely as the sun poured in of the morning and gave a bright and cheerfulness on a gray day. I learned how to make them for myself and this morning I am teaching my children to make them as well. It doesn't take much, and it doesn't have to be perfect. You can tell that mine above is not perfectly spaced, but it is still quite pretty. 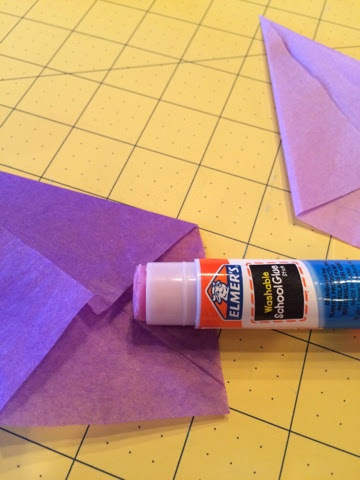 All the supplies you will need is some tissue paper in the colors you want, scissors, a glue stick and some tape. Cut your squares. 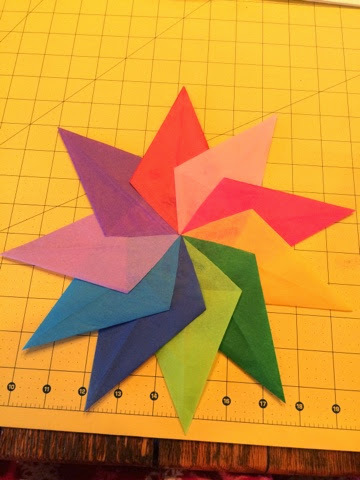 For the one I made above, it is a 10 point star, so you need 10 even squares. I believe mine is about 4 inch imperfect (haha) squares. 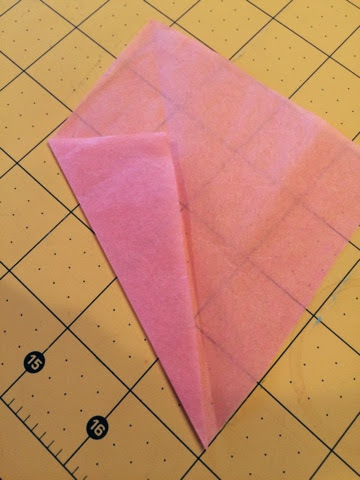 Take your square and fold it in half so you have a middle seam. 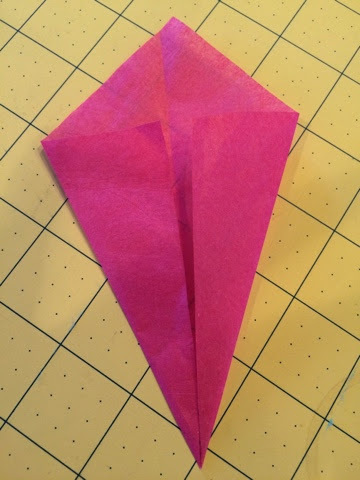 Unfold paper and take one side and fold it to the middle like what I did above. 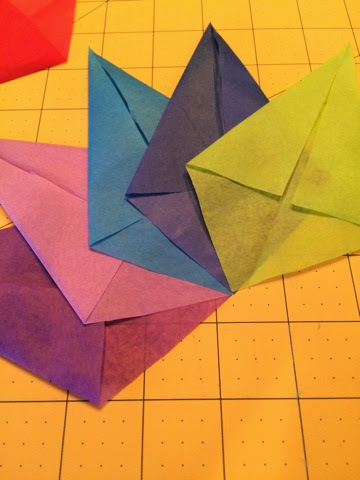 Fold the second side in also. 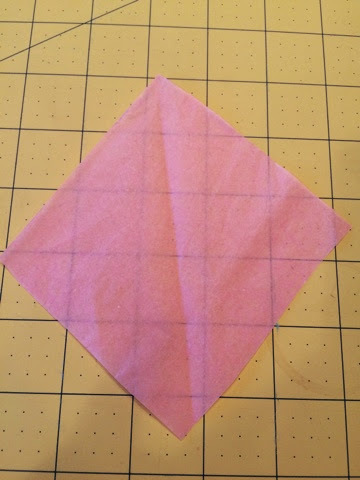 You want a nice point at the end and if the pieces meet perfectly in the middle that is great, but if they don't... it's ok. Don't fret about it. 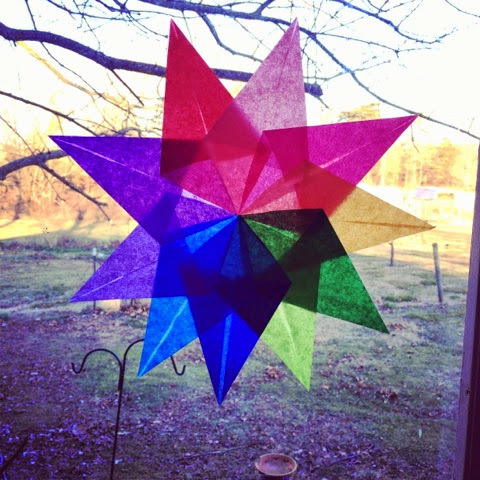 A little dab of glue on each piece your just folded in, so they will stay together when you assemble your star. Gather all of your pieces and decide on an arrangement of color. 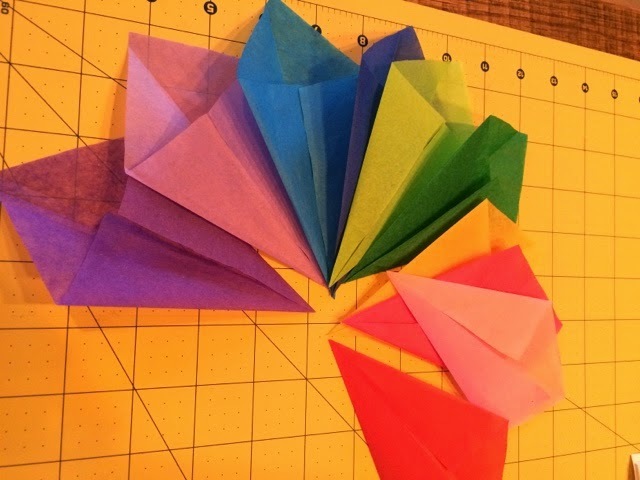 Take each folded piece and begin with the unfolded point as your middle. 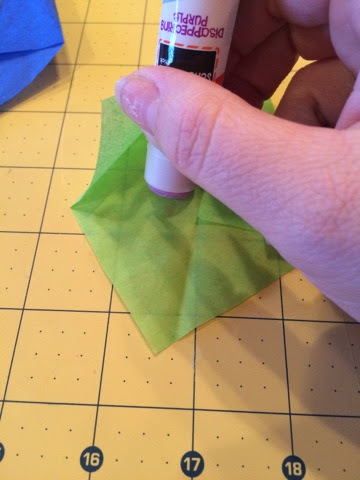 Arrange each piece overlapping slightly and adding a dab of glue to hold it together. Once you get all the way around, flip the star over. Iron gently if desired and hang. I used tiny pieces of tape on the back of each point to help hang mine. Enjoy your work of art! That is really pretty. 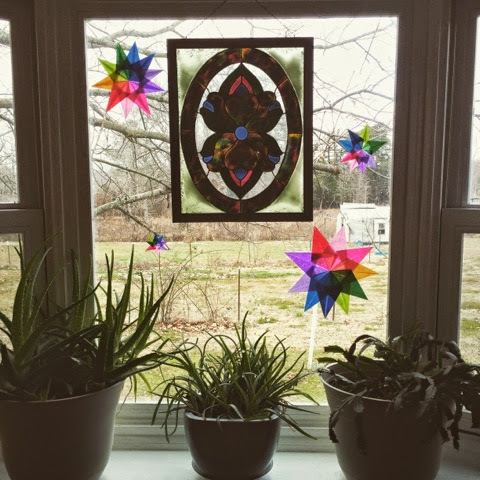 It looks like a fun, happy project to make and put on our big southern windows.